Our exclusive focus is building the market for long-term care solutions. Insurance and financial professionals have access to our unmatched Online LTC Marketing & Sales Center -- the nation's largest resource collection of selling strategies and actual tools to help you be (more) successful. Since 1998, AALTCI has been the industry's leading voice. Learn more and enjoy the many benefits of membership. 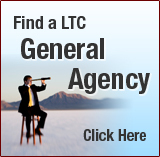 Considering A Career Selling LTC Insurance? The long-term care insurance industry continues to grow as the wave of baby boomers move into their "golden years". This growth creates a need for more people looking to educate and sell this important form of protection. Companies provide training and no prior sales experience is needed. Click here now or call (818) 597-3227 to find get more details about this opportunity. 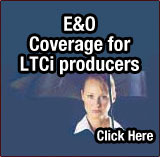 E&O Coverage - Low Cost, Immediate!